53 Hereford is located on the NW corner of Hereford and Newbury, with 51 Hereford to the north, 320 Newbury to the south, across Newbury, 52 Hereford (303-305 Newbury) to the east, across Hereford, and 325 Newbury to the west. 53 Hereford was designed by Bradlee and Winslow, architects, and built in 1882 by Vinal and Dodge, masons. It is one of five contiguous houses (45-47-49-51-53 Hereford) they built for speculative sale in association with building contractor George Wheatland, Jr. He is shown as the owner on the original building application for all five houses, dated February 24, 1882. 47-53 Hereford are designed as a symmetrical composition, somewhat unbalanced by 45 Hereford. Click here for an index to the deeds for 53 Hereford. On November 4, 1882, 53 Hereford was purchased from Warren D. Vinal and Charles A. Dodge by the trustees of the First Methodist Episcopal Church in Boston, located on Beacon Hill at Temple Street and Ridgeway Lane (also known as Grace Church and the Temple Street Church). By the 1883-1884 winter season, it was the home of Moses Burlen and his wife, Sarah A. L. (Dickinson) Burlen. He was a mason and builder. Living with them were their unmarried son, Moses P. Burlen, also a mason, and their son-in-law and daughter, Eben Mann Holbrook and Sarah Syrene (Burlen) Holbrook. Eben Holbrook was a cider manufacturer. They all previously had lived at 40 Leverett. The Burlens continued to live at 53 Hereford in 1889. By 1890, they were living at the Hotel Ilkley (Huntington at Cumberland). By the 1889-1890 winter season, 53 Hereford was the home of Horace Billings, a hide and leather merchant, and his adopted daughter, Elizabeth G. Billings. They previously had lived at 323 Commonwealth, where his wife, Sarah Arianna (Sears) Billings, had died in July of 1880. Horace Billings died in May of 1905 and Elizabeth Billings moved soon thereafter. 53 Hereford was not listed in the 1906 Blue Book. By the 1906-1907 winter season, it was the home of Dr. George W. Spears, Jr., and his wife, Mabel M. (Knight) Spears. George Spears was a physician and also maintained his office at 53 Hereford. They previously had lived (and he had maintained his office) at the Hotel La Fayette at 200 Columbus. George and Mabel Spears continued to live there during the 1907-1908 season, but moved thereafter to 213 Huntington. On April 7. 1908, 53 Hereford was acquired by real estate dealer James Sumner Draper. On April 20, 1909, 53 Hereford was purchased from J. Sumner Draper by Dr. Robert Soutter, a physician and orthopedic surgeon. He and his wife, Helen Elizabeth (Whiteside) Soutter, previously had lived next door, at 51 Hereford, which they continued to own and lease to others. It appears that it was at about this time that a fourth story penthouse structure was added to 53 Hereford. The house is shown as three stories on the 1908 Bromley map (the same height as 45-51 Hereford) and as four stories on the 1912 map (one story higher than the other houses). Dr. Robert Henry Vose, a physician, who had lived with the Soutters at 51 Hereford, moved to 53 Hereford and continued to live with them until 1913, when the moved to 443 Beacon to live (and maintain his medical office) with Dr. Franklin S. Newell. James Donald Cameron Bradley, a broker, who also had lived with the Soutters at 51 Hereford, also moved to 53 Hereford. He married in July of 1913 to Helen Sears and they moved to 12 Hereford. On October 6, 1913, Robert Soutter transferred 51 Hereford and 53 Hereford into Helen Soutter’s name. The Soutters continued to live at 53 Hereford in 1924. 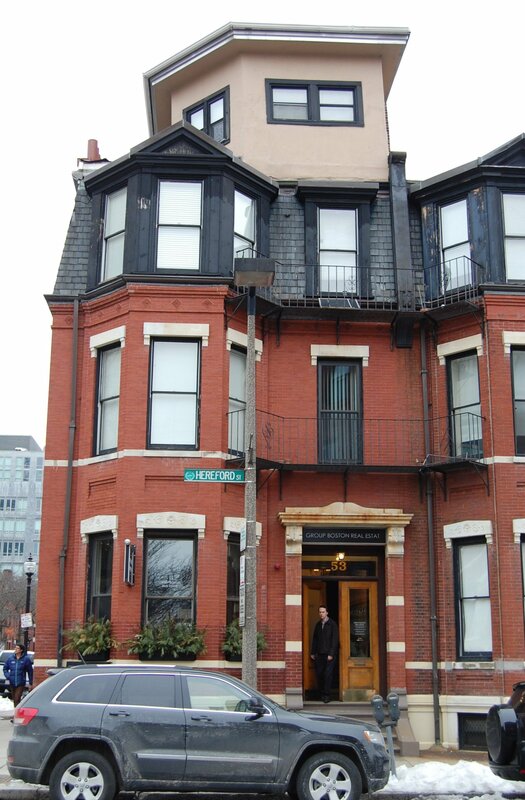 By 1925, they were living in Brookline and he had moved his office to 253 Newbury (they resumed living in Boston, at 286 Marlborough, in about 1930). The Soutters continued to own both 51 and 53 Hereford and lease them to others. By the 1924-1925 winter season, 53 Hereford was the home of John M. Sutherland, a carpenter, and his wife, Lillian V. (Edgins) Sutherland, who operated it as a lodging house. In 1924, they had lived and operated a lodging house at 16 Pinckney, and also maintained a home in Winthrop. They continued to live at 53 Hereford during the 1926-1927 season, but moved soon thereafter to 28 West Cedar. By 1927, 53 Hereford was the home of Mrs. Margaret Dunbar, who operated it as a lodging house. She previously had lived at 164 St. Botolph. She continued to live there in 1928, but moved thereafter to 148 West Newton. By 1929, 53 Hereford was the home of real estate and business broker Everett M. Myrick and his wife, Marie E. (Greenough) Myrick, who operated it as a lodging house. They previously had lived in Maine. They continued to live at 53 Hereford in 1930. The house was not listed in the 1931-1937 Blue Books and was shown as vacant in the 1931 and 1932 City Directories. By 1934, 53 Hereford was the home of Mrs. Minna E. (Rasslee) Garvin, the widow of John Garvin, who operated it as a lodging house. She previously had been a lodger at 32 Fairfield and before that had lived at 455 Beacon. She continued to live at 53 Hereford until her death in October of 1935. By 1936, 53 Hereford was the home of Alfred J. White and his wife, Florence E. M. (Plaice) White, who operated it as a lodging house. They previously had lived in Cambridge. Alfred White died in April of 1938 and Florence White moved to 106 Gainsborough. On February 26, 1937, 53 Hereford was purchased from Helen Soutter by Harry Skinner. On October 20, 1938, 53 Hereford was acquired from Harry Skinner by Culver Louis Tice, a cabinetmaker and former real estate agent, and his wife, Catherine (Power) Tice, who operated it as a lodging house. 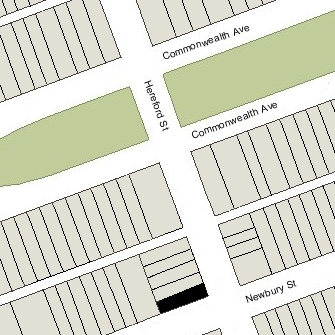 They previously had lived at 293 Newbury and, before that, at 51 Hereford. Their daughter, Dorrien June (Tice) Knott, the former wife of Kenneth Woodhouse Knott, lived at 48 Hereford, where she also operated a lodging house. Culver and Catherine Tice continued to live at 53 Hereford until about 1950. On October 2, 1950, 53 Hereford was acquired from Culver and Catherine Tice by John Luster Simmons and his wife, Lymena T. (Baxter) Reilly Simmons, who continued to operate it as a lodging house. They previously had lived at 1402 Commonwealth. On May 1, 1951, 53 Hereford was acquired from John and Lymena Simmons by Dr. Walter Fairfield Provan, a retired dentist, and his wife, Hazel Lillian (Lawrence) Provan. 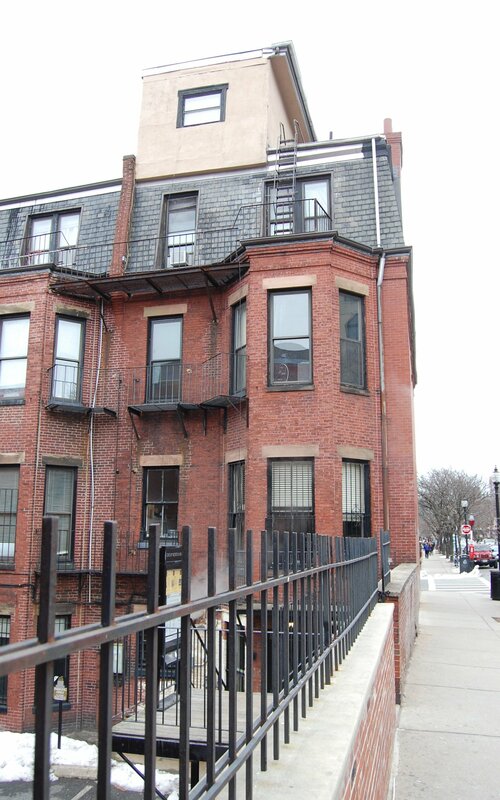 They previously had lived at 20 Hemenway. In May of 1951, Walter Provan applied for (and subsequently received) permission to change the occupancy from a single-family dwelling and lodging house to a two-family dwelling and lodging house. Walter Provan died in July of 1953, from injuries resulting from having been hit by an automobile while crossing Newbury. Hazel Provan continued to live at 53 Hereford until about 1956. On February 15, 1956, 53 Hereford was acquired from Hazel Provan by Maurice Wyman Bickmore, a machinist with the Boston Gear Works, and his wife, Mary L. (Powell) Bickmore. They lived in Dorchester. They continued to operate 53 Hereford as a lodging house. The property changed hands and on April 20, 1963, it was acquired by Dr. Rose (Wexler) Winston, a physician. She and her husband, Dr. Murray R. Winston, also a physician, lived at 133 Commonwealth. She subsequently acquired 47, 49, and 51 Hereford, and operated them as lodging houses. In August of 1992, Patrick Glynn applied for permission to convert 53 Hereford into eight apartments. He subsequently abandoned the permit and, in January of 1993, filed for (and subsequently received) permission to convert the property into two apartments, one office, and eight lodging units. 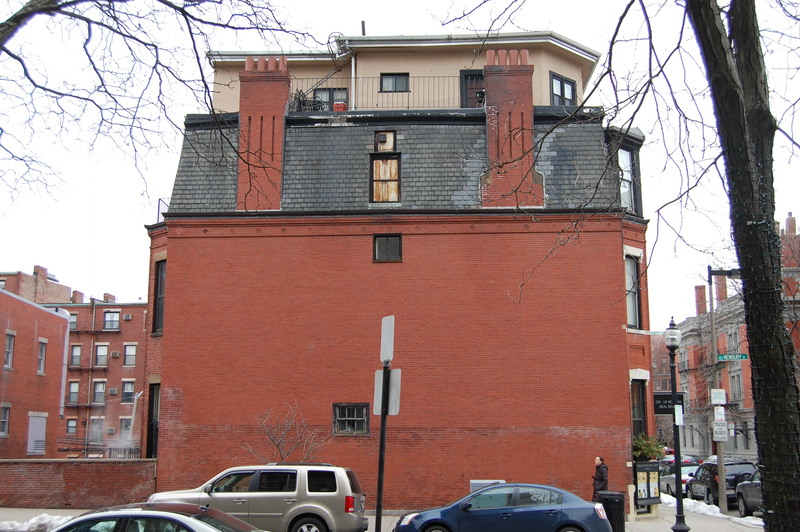 The application noted that, although the legal occupancy had never been changed from a single-family dwelling, “in part, this building has functioned as, and has been licensed as, a lodging house for many years.” The proposed mixed use was consistent with a decision of the Rent Equity Board issued on December 7, 1992. On August 1, 1995, 53 Hereford was acquired by the 53 Hereford Street Limited Partnership, the general partner of which was Countryside Management, Inc. (Patrick J. Glynn, treasurer, and his wife, Anne T. Glynn, president). In December of 1994, Patrick Glynn had transferred 47, 49, and 51 Hereford to parallel limited partnerships. 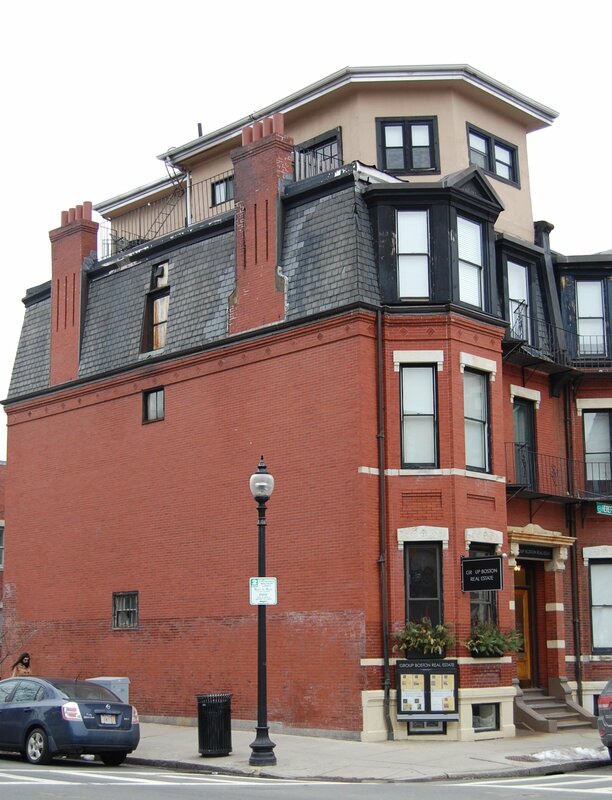 In February of 1999, 45 Hereford was acquired by the 45 Hereford Street LLC (Neil G. Glynn, manager). 53 Hereford remained a combined multiple dwelling and commercial building in 2015.